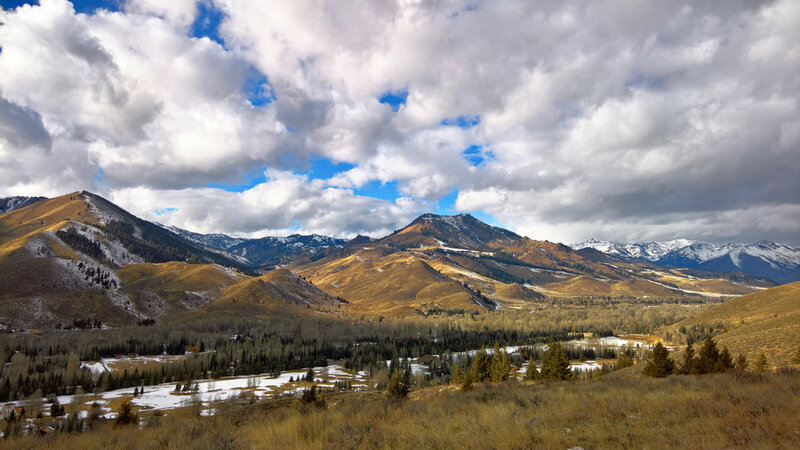 We hopped on over to my favorite easy hiking trail in Sun Valley, Idaho. The trailhead is located directly across the road from the legendary Sun Valley Lodge. One just has to choose which direction to hike. Then pause to soak in this view (and this was on a freezing, windy, overcast day). Locally known as Valley View Trail and Sunrise Loop. Technically part of White Clouds Hiking and Biking Trails. Just about any pair of shoes will do.